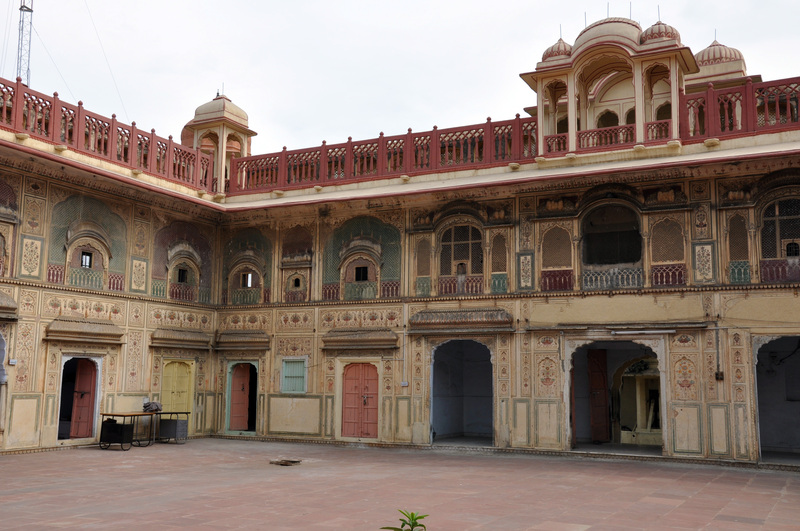 I spent a weekend in Jaipur, Rajasthan, 6 hours outside Delhi, to look one of India’s older planned cities. Jaipur was built by Sawai Jai Singh, a Rajput Maharaja, in 1727, and is described as a fusion a eastern and western planning. Singh was well read in western planning, but based the Jaipur plan on the vaastu shaastra, a traditional Indian philosophy of space making. 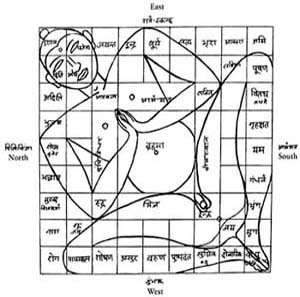 This was the reason for the division of the city into 9 squares. 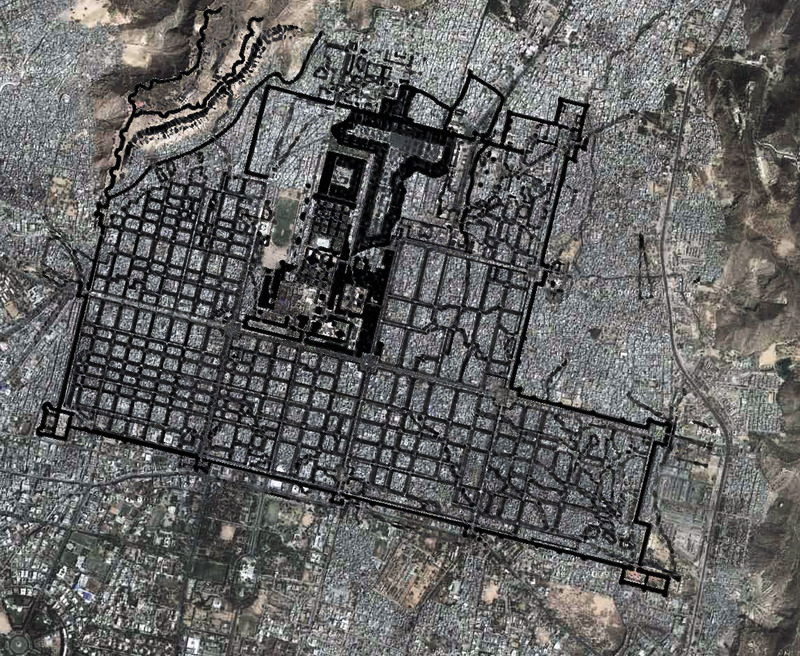 The northernmost square was relocated to the southeast of the grid, because a mountain blocked its placement. 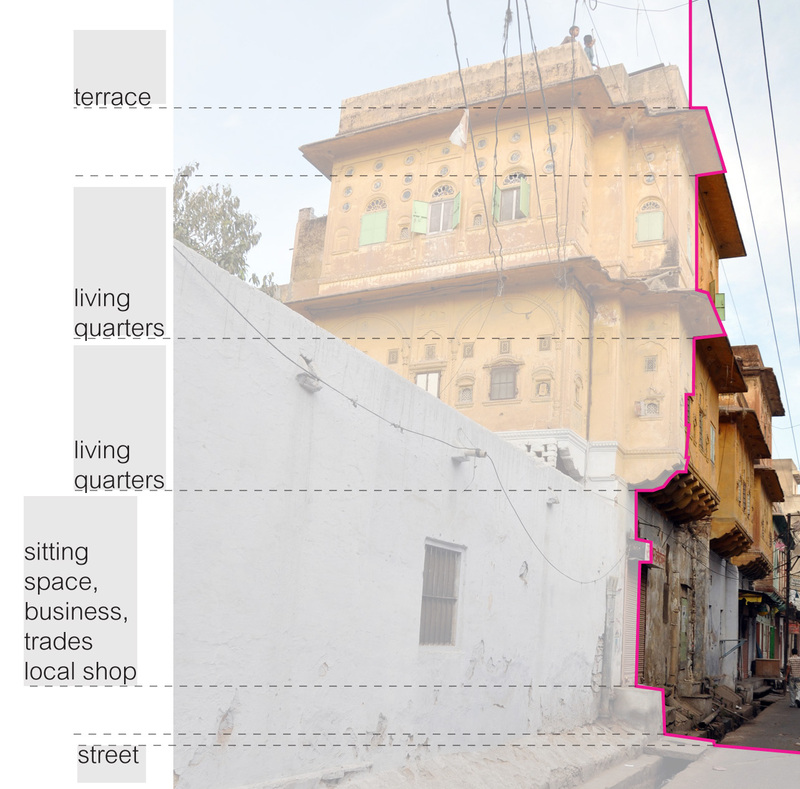 My interest in Jaipur is in looking at how the city has absorbed density over the last 3 centuries, what aspects of the plan have maintained legibility, and how the structure has held up to transformations. 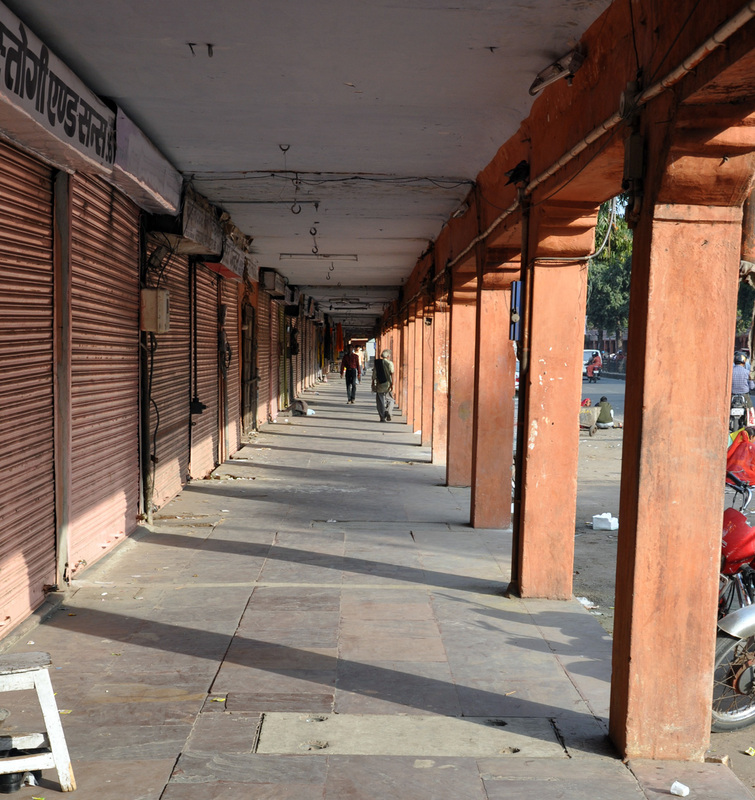 At one point, the arcades had been filled by zealous shop keepers, but new enforcement about 5 or 10 years ago brought back the walkways. 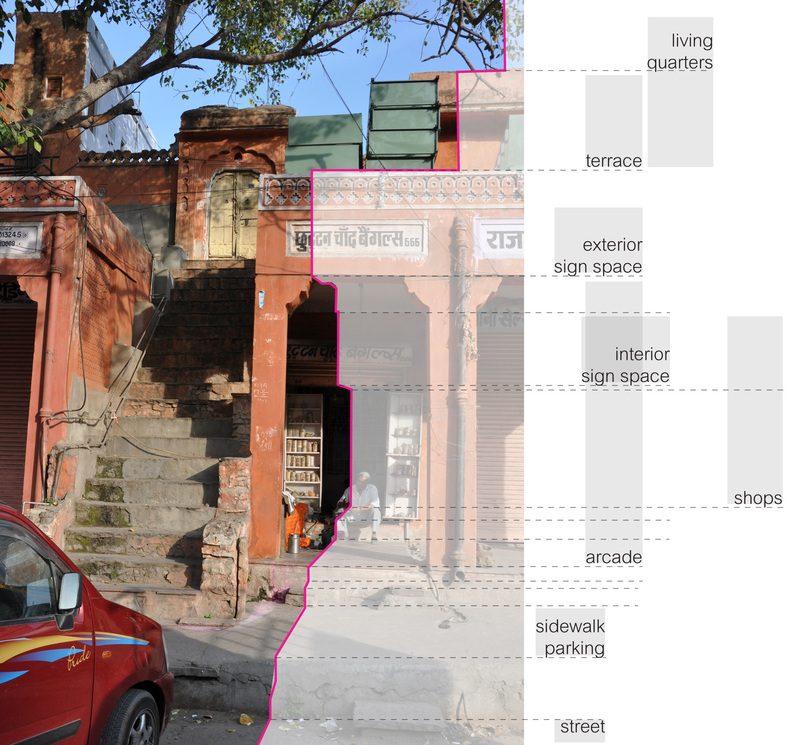 More than just a continuous walkway, these commercial zones create a protective edge around the residential areas of Jaipur, shielding them from the noisy traffic and lights of the wide boulevards. The entrance to these blocks is punched through the commercial barrier, with various scales of openings to indicate the privacy of the place beyond. Inside, the blocks are quieter, and the narrow streets allow the buildings to shade themselves, while residential windows open into the space of the street. 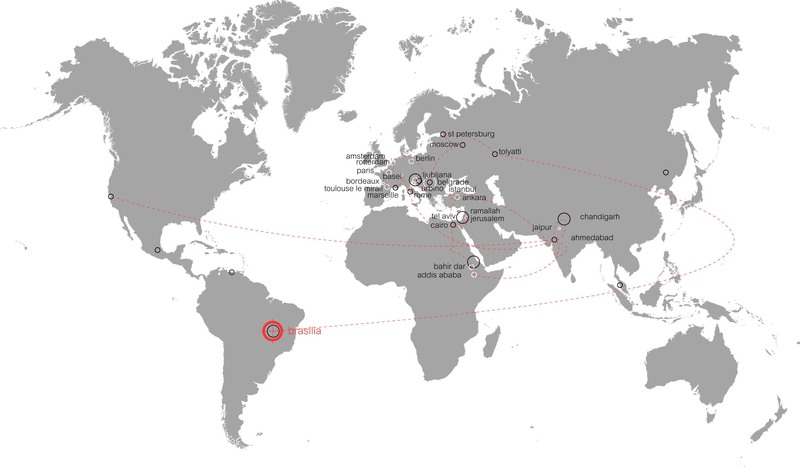 The hierarchy among streets has been preserved through densification, and the main commercial areas have been able to specialize while daily needs shops inside the blocks maintain residents’ ease of access to normal goods. 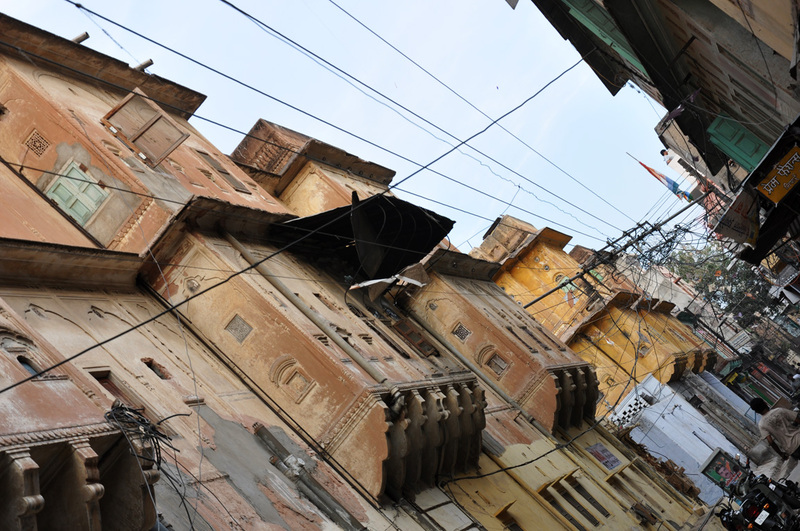 But Jaipur’s greatest success is in the open spaces tucked behind layers of protective facades. 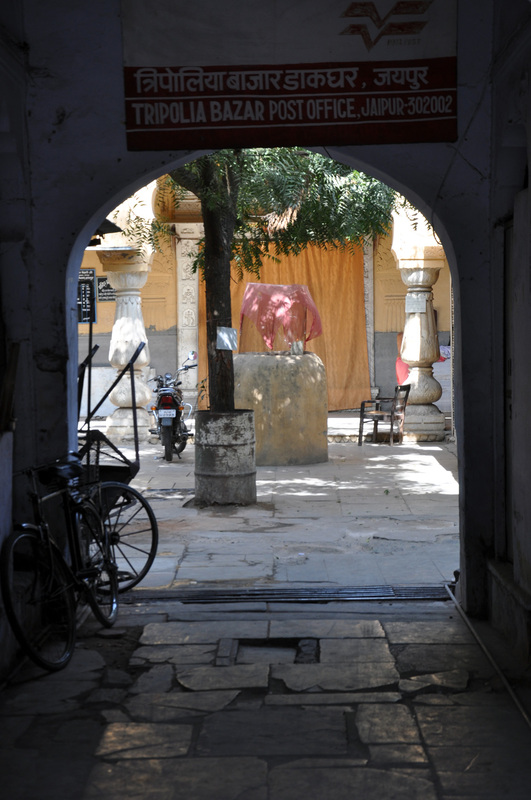 Inside these gates, in the form of libraries, temples, residences and gardens, the city’s densely packed walls open to breathe. 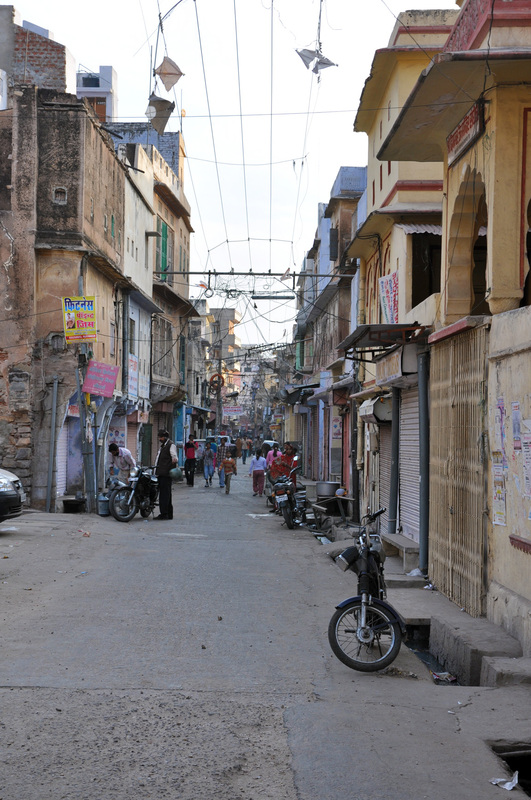 Despite Jaipur’s planned beginning, the city’s development beyond the end of Jai Singh’s plan has been haphazard. 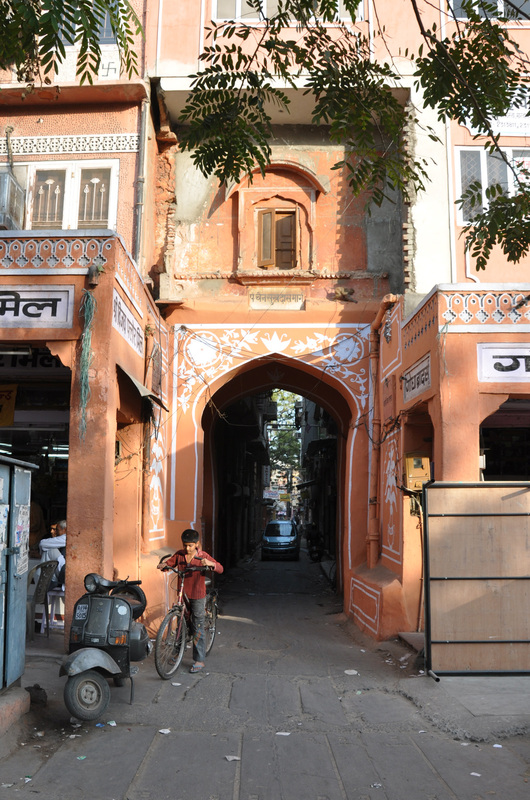 But one interesting between Jaipur’s old city and old city sections in other Indian cities is that it has remained not only the geographic and historic center, but also the commerce center. 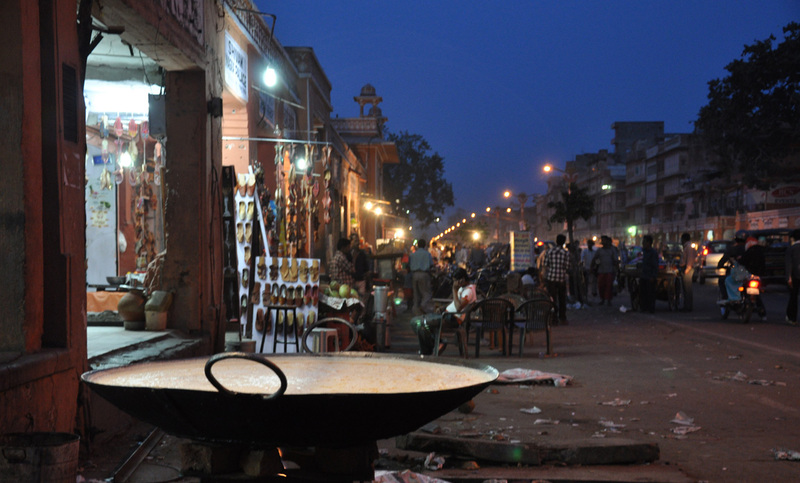 The wide roads connect directly to the new developments, and still the newer additions to Jaipur’s top industry, jewelry, are built right at the old city’s edge. 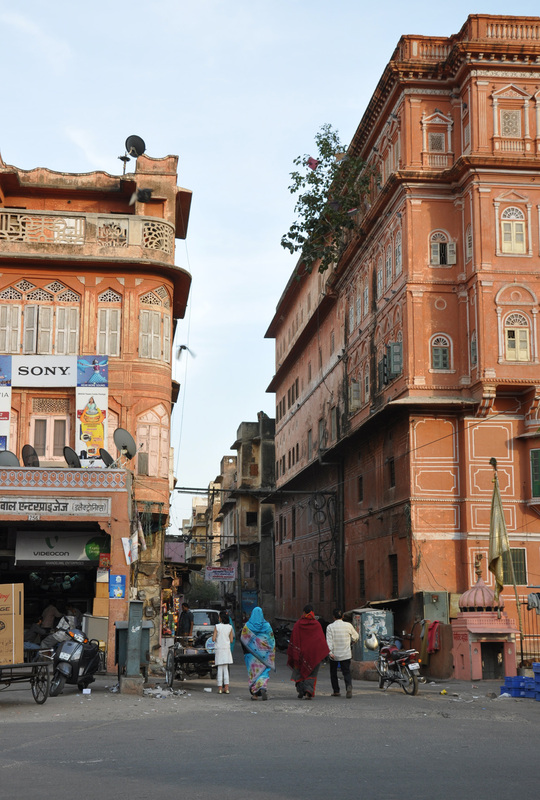 Jaipur’s plan hasn’t influenced its new development, but it has maintained the vitality of a city center across multiple changes in transportation, density and governance.